One of our principal beliefs at Long Close School is that school should be a fun, exciting place where children can learn in a secure environment and be willing to take risks when trying out new ways of learning. What drives us, is a distinct focus on ensuring that we equip each child in our care with the skills they need to succeed, to achieve their full potential both in and outside of the classroom. When children leave Long Close School, we want them to embark on the next stage in their learning with confidence, an innate confidence which will allow them to relish challenge. When children first walk through our gates the journey towards striving to achieve individual potential begins. To achieve, children need to feel secure in their environment. Our small classes and welcoming family atmosphere provide a natural avenue which allows children to build strong and trusting relationships with their peers and teachers – a result of which is the confidence to take risks and the courage to persevere. Since returning to school in September, children from across the school, from Early Years to Seniors, have been focusing on learning how their ‘mindset’ can impact on their learning and progress and how we share a joint responsibility to uphold both the core values of the school and standards with regards to how we behave towards one another. Simply put, a mindset is the attitude an individual chooses to adopt towards new experiences and challenges, heavily influencing ensuring belief surrounding what one is capable of achieving. This is especially true for the learners of the 21st Century. If children have fixed mindsets they find it hard to cope with failure. To cope with the challenges of a changing world, children need to learn to view mistakes and failure as positive. We believe that it is best to teach our children to seek challenges, be intrigued by mistakes, enjoy effort, and keep learning. Essential to this is the understanding of the rights and responsibilities that each and every member of our learning community; pupils, parents and staff must uphold towards each other as part of our working together partnership. This week, our Senior Leadership Team have updated you on news from across the School including exciting news regarding student roles of responsibility. Supporting our pupils in their journey from learners to leaders is an area that I feel very passionate about as we prepare our pupils for the challenges and opportunities they will face in the future. The opportunity to represent that LCS both internally through roles such as Form, House and Sport Captains, as prefects or Head Boy and Head Girl or as Ambassadors in the wider school community whilst on educational visits or as acting as Tour Guides during our open events is a wonderful way of developing confidence and leadership skills in our young people. To this end, we have invited pupils from Year 3 upwards to take part in our first Open Day of the year on Saturday 23rd September. Forms have been sent home to parents via School Comms and I would both encourage and appreciate your support in having your child take part on the day. I am delighted to also be able to update you on our recruitment for a new Head of Junior School and Year 6 Teacher to replace Ms Field who will be leaving LCS at the end of the term. Our advertisement for the role is now live in the TES and we will be holding first round interviews with candidates during the week of 28th September. As part of the interview process we will be involving both a small group of pupils and parents to interact with our candidates on the day as part of our commitment to engage all members of the LCS community. We anticipate being able to communicate further details about our new appointment and outline our transition plan just prior to the October half term break. I was absolutely thrilled to have been able to take part in the Year 7 Geography Fieldwork Trip yesterday as we walked 14.5km along the Jubilee River. Learning outside the classroom is such a wonderful way to put learning into context and to enable pupils to approach learning with a sense of enthusiasm, awe and wonder. Every time our pupils leave the school gates, they are provided with the opportunity to act as ambassadors to Long Close School and I was certainly proud of all the Year 7s for their efforts and approach yesterday. It has been a super return to the Autumn term as the children are all now settling into their new classroom routines and getting accustomed to the different areas and exciting new spaces built over the summer holidays at Long Close. Reception children are most certainly making the most of their third classroom and the extra resources and space available for them to explore with the extension of their free flow environment. I think the start of a new academic year is definitely an exciting time as many new opportunities unfold for the children and staff as we face new challenges and welcome the opportunity to learn new things in life together. I would also like to welcome all of our new families who have joined us in the Early Years and hope that both you and your children are happy and starting to build relationships within the setting. This week in the Early Years assembly we reminded ourselves what we do at Long Close School as we talked about our School Ethos ‘Altiora Petimus’, we seek higher things. 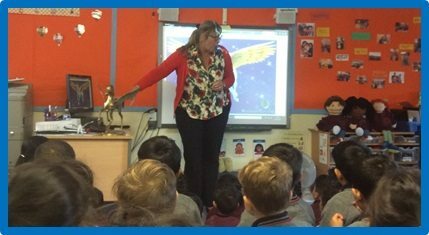 The children then excitedly found the ‘Winged Pegasus’ on their school uniforms and decided that we would definitely all aim to seek higher things this year as we learn to fly. The Early Years staff team would like to thank all of you who attended the Early Years Foundation Stage welcome event this week and hope that we continue to meet as a group at the PTA coffee mornings and the ‘Practical Parenting’ events that we are planning for next term in the Early Years. We hope this will engage you further in your children’s learning and give you more opportunities to get to know each other as a part of the Long Close School community. Mrs Harris and the Early Years Team. The Junior School wish you all a warm welcome back! We have very much enjoyed the return to school over the past two weeks and the children have settled into their new classes well. The first few weeks is always one of establishing the new timetable and curriculum, new routines, as well as classroom and personal organisation. After seven weeks holiday that can be a bit of a challenge, but we have been impressed at how well the children have adjusted to slightly higher expectations as they return a school year older. We thank you for your support in in helping this transition to be as smooth as possible. Last week all pupils had some diagnostic tests in English and Maths in order for the teachers to establish a baseline for the year and to help them with planning for individual pupil needs. We have also started the curriculum in earnest and we hope the pupils will enjoy their new topics. This week has been a important week for Year 6 as many will take their 11+ examinations and we wish them very good luck! Ms. Field and the Junior School Team. I would like to welcome you all back to another exciting term at Long Close. I was pleased to see how all the students settled into life at Long close school so quickly over the past 10 days, especially the new students. It is always a daunting task starting any new school. However, I am confident they will fit in very quickly into the Long Close family. I have felt a real buzz to the start of term and the staff have arrive refreshed and full of great ideas. I have to admit one of the reasons for this buzz is the infectious enthusiasm of our new Head, Melissa McBride. I am looking forward to working with her and the injection of new ideas. Although we were classified as an ‘outstanding’ school in our last inspection, it is important that we do not sit on our laurels. There are always new challenges and ways of improving the school. In keeping with our theme of Leadership and Roles of Responsibility, this week we elected our new Heads of Houses. The Year 11 students gave a presentation to their houses and the students from across the Senior School then elected their new Head of House (see below). It was a pleasure to meet so many Senior School parents at our Introductory Evening on Tuesday and I trust those who attended felt the evening was informative. I am lucky to have such a fantastic academic team and wish to assure you that should you have any questions or concerns throughout the year, my team are here to support you. Our GCSE results were very good this year and something we should all feel proud about. Grades 7-9 in the new GCSE syllabuses of English Language, English Literature and Mathematics was 23%; this was about 5% ahead of national average. Grades 4-9 was 88%, about 20% ahead of the national average. I would like to publically that all the teachers that supported these GCSE students by giving up countless hours during their break times, after school and during the holidays. Teaching is very much a vocation and the staff at long Close school are passionate about education and trying their best so that thee students try and fulfil their true potential. Last year many parents volunteered to the ‘Inspire the Future’ Programme. This proved to be very successful and popular with the senior students. We are looking at professional parents to give a talk to the seniors about their educational roots and what their everyday job entails. We want to know what you are passionate about. How you could inspire the younger generation to think about their future and what fields they could pursue in the future. Hopefully, you need to get across to the senior students why you love your job so much and why it may be a great career choice for the students at our school. One last thing. It has been decided to ban mobile phones for the senior students. They are allowed to bring them in, but they then must hand them to their form teacher at the beginning of the day and collect them when school finishes. Any student caught with a mobile will have it confiscated. The mobile will only be handed back at the end of the day if it is collected by a parent/guardian. It was not any easy decision to take and I know it will not be popular with the senior students. However, the staff decided it was for the best interest of the students. It means that they will concentrate 100% on the lessons being delivered, without the temptation of having a look at their mobile. I also believe that students should be doing more physical exercises during breaks, rather than spend all their time glued to a screen. With ever-increasing teenage obesity rates hogging the headlines; it is important that we send out a message of the importance of exercise to this generation. Another reason we chose to ban the mobile was for safe-guarding reasons. With each passing year students were getting more and more involved in inappropriate uses, from sexting, to videoing someone without permission, to cyber-bullying. I believe that students should solve their problems face-to-face, without disguising themselves under false identities and having fake multiple accounts. Indeed, on several occasions last year the police were asked to come in because students were simply getting things wrong! I hope you will support us on this. May I suggest that you also monitor your son’s/daughter’s use of their mobiles/internet. I was amazed to see how many ‘conversations’ are happening between 2:00-3:00 am, whilst the parents are asleep! This week we have also included our School Behaviour and Digital Safety Policies. I highly recommend you take the time over the weekend to review with your child our expectations, advice and approach to working with both pupils and parents to ensure LCS is a safe and happy learning environment for all members of our community. Mr. McCarthy and the Senior School Team. Last year we achieved a great deal in the first year as a new PTA committee, the summer holidays gave us all time to reflect and plan for what we hope will be a great year ahead. 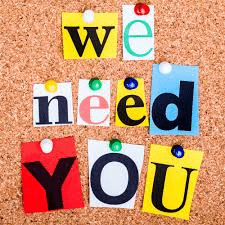 As part of the planning process we have reviewed the current committee roles and are taking the opportunity to extend your PTA committee. We have more detail available on each of these roles, if you are interested please contact us via email and we can share this. Any nominations for roles need to be received by Friday 22nd of September. The new officers will officially be appointed at our AGM, this is on Wednesday 27th of September at 4.15pm, class 2B. The AGM is open to everyone, as parents/guardians of children attending Long Close you are all members of the PTA. Your input and support is what shapes the events and fundraising so to hear about last year’s success and our plans for this year please come along. A spooky Halloween disco is coming to Long Close School! Look out for more details soon. This event is for reception to year 6 and will be full of fun and spooky treats.